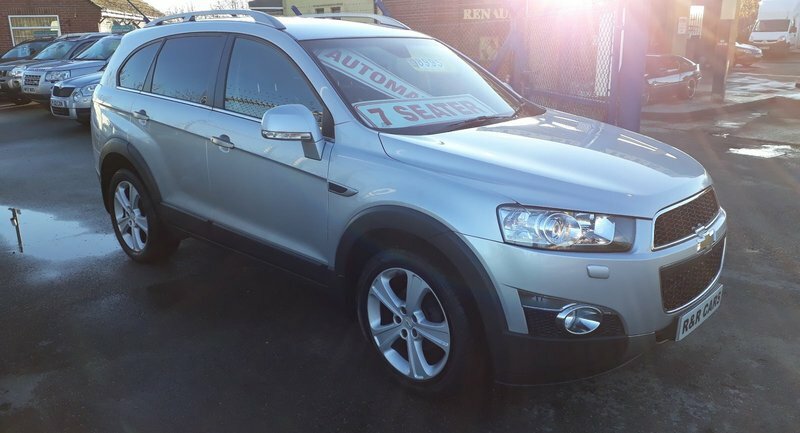 2012 Chevrolet Captiva 2.2VCDi LTZ Automatic. 47,000 miles with full main dealer service history stamped at 2k, 4k, 10k, 20k, 30k, 40k and 47k. This car includes remote central locking, 2 keys, power steering, steering wheel controls, electric windows x 4, folding electric mirrors, air conditioning, climate control, cruise control, trip computer, full leather interior, isofix, heated front seats, electric drivers seat, CD player, Sat Nav, bluetooth, alloys, rear parking sensors, auto headlights, front fog lights, roof rails, 4x4.